In the north west of England lies the magnificent county of Merseyside. Boasting the largest number of Grade I Listed buildings in the country, Merseyside is also home to the sucess story that is Liverpool. At the very heart of the county, the city is home to the oldest Chinatown in Europe, dates back to the Iron Ages and offers an aura that radiates across the county as evidenced architecturally by Speke Hall and St George’s Hall, the finest neo classical building in Europe. Birthplace of the Beatles, the Mersey Sound changed music forever and placed Merseyside firmly on the map. For those who fancy a flutter at the races, Aintree and Haydock will provide the thrills whilst our High Stakes Horse Racing will wrap your away day up nicely! Give our sales team a call on 0845 006 06 06 or fill in our quick online enquiry form and let us plan your away day in Merseyside! Should you need overnight stays, ask about our free venue finding service and we're sure to find the best location for your team. 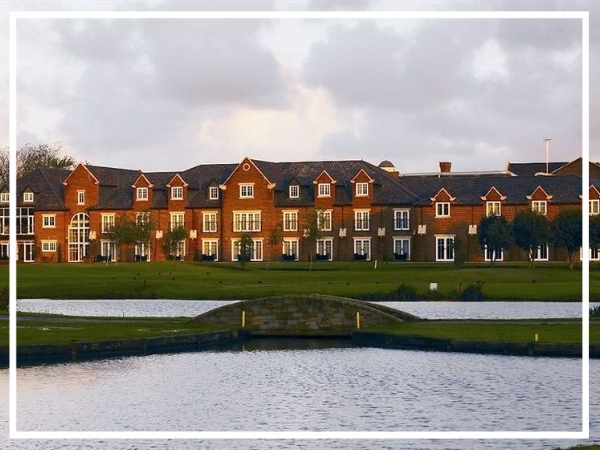 Formby Hall Golf Resort & Spa is a stylish and sophisticated four star hotel in the North West of England. Boasting 62 contemporary bedrooms, a luxurious spa and an 18-hole championship golf course, this intimate venue is one of the finest resorts in the Country. Noted for it’s exceptional range of amenities and excellent standard of service, The Royal Clifton Hotel & Spa is a great choice for your next team build in Merseyside. Home to seven conference suites, it also has extensive parking facilities and a recently refurbished spa. An award winning hotel, Thornton Hall Hotel and Spa is conveniently located for Merseyside, Manchester, Cheshire and North Wales. Set in seven acres of landscaped gardens, this four star hotel offers great conference facilities, 62 luxury bedrooms and a spa.